I love yard sales, and despite not actually needing anything, I can’t resist stopping to browse. 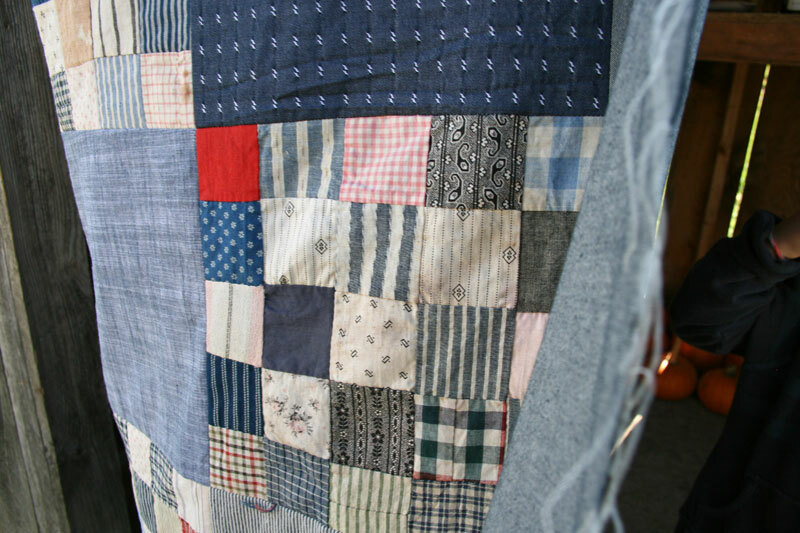 This summer I stopped at one sale and in the midst of a bunch of junk, I found a trunk filled with cheap fabric and then a handful of these vintage patchwork blocks at the very bottom. For $2 for the bunch, I certainly couldn’t not bring them home. 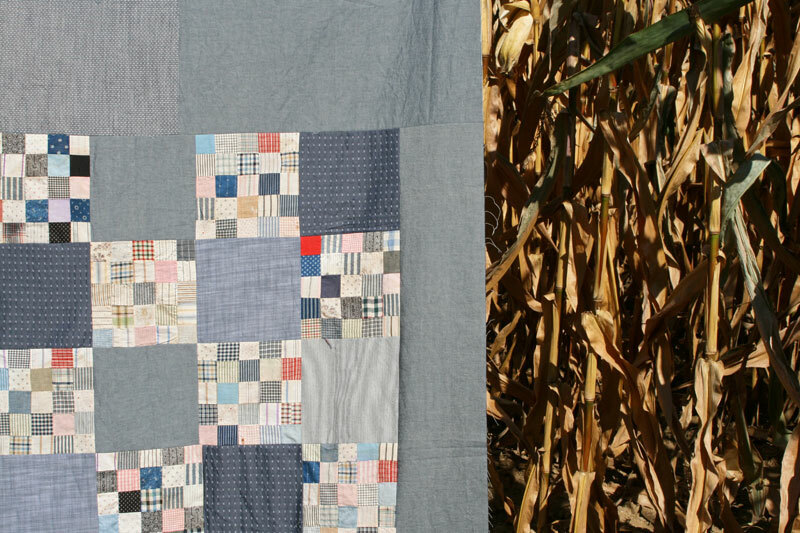 These patchwork blocks are hand sewn and made up of stripes, checks, ginghams and other tiny prints (plus that one red solid!). There’s some discoloration and staining, but I kinda like it that way. There were a total of 10 blocks, though two were falling apart and slightly different in feel. I used the remaining 8 and paired them with a few chambrays and stripes I had on hand to make this large checkerboard section. I wasn’t sure how to enlarge it, so set it aside for a while. The other day I decided to embrace the ‘make use of what you have’ feeling that I get from these blocks (many of those tiny squares are pieced together), and pulled out the rest of my chambrays to see how I could piece them together to get this quilt up to size. I’m pretty happy with how it turned out and am so pleased that these patchwork blocks finally found their way into a quilt! 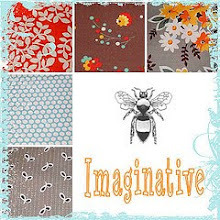 This entry was posted in Fabric, Posts about Quilts and tagged chambray, handmade, patchwork, quilt top, vintage quilt blocks. Bookmark the permalink. It looks great ! 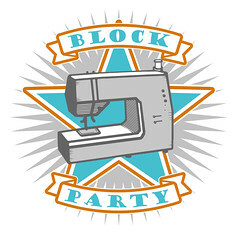 I love how you off centered the block section. That will be a very cosy quilt. What a great find and rescue! The two black squares in the first pic look similar to the new wovens out by Free Spirit (Loominous). I love your ‘make do’ feel to it just like the the blocks. I see several pieced squares. And you got a smile out of Hazel! This is so lovely, all of it! 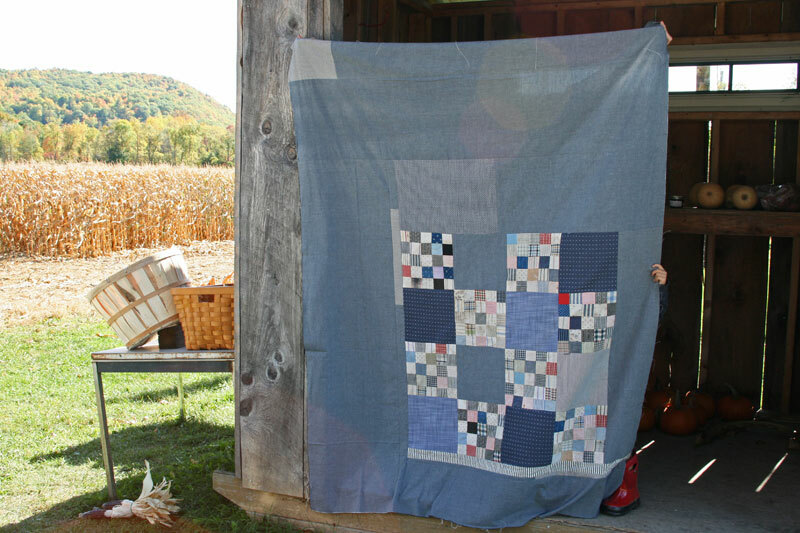 The quilt is a beauty in it’s own right, but the rescued blocks are the real star. The original maker of those blocks will probably never know what you’ve done, but imagine how pleased she would be! I love yard-sale quilt finds! I love it! To me this a “real” quilt in the make-do style of my grandmother. Thanks for sharing the quilt and the story. Excellent rescue, and you did them great justice! This is a great story and find. 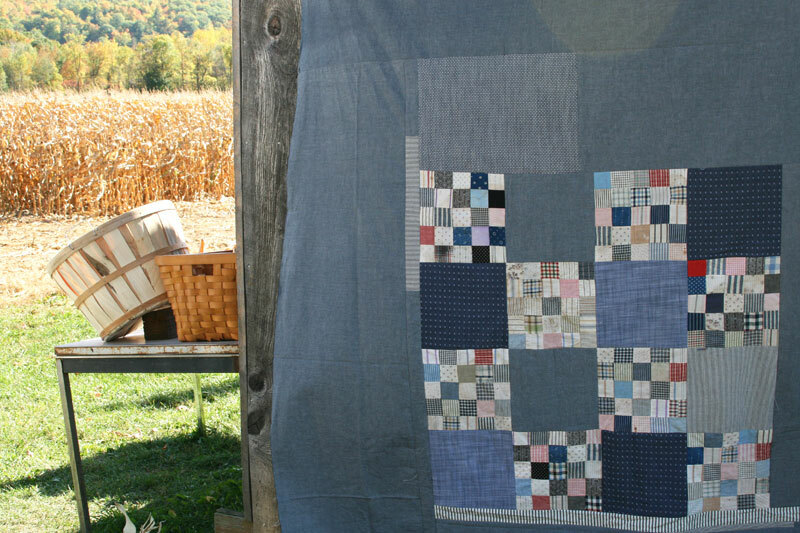 Appreciate how your love put life back into those quilt blocks. Chambray is one of my favs. 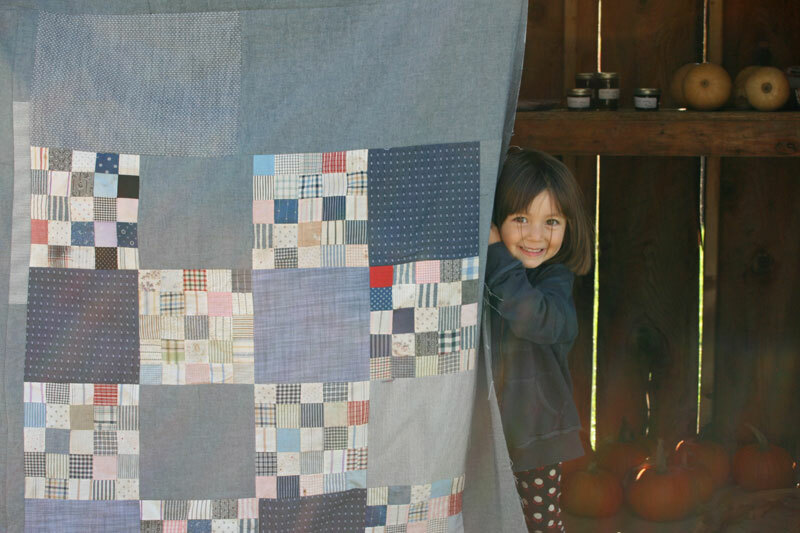 Thanks for sharing your inspiration through this quilt. Also really like how you placed the blocks off center. Fantastic solution! The pieced together background couldn’t be more perfect.